"A teen gang in South London defend their block from an alien invasion." You would think that any film written and directed by Joe Cornish would be a comedy but, in this case, you'd be very wrong. "Attack the Block", if it can be described at all, is mostly a British action film with enough aliens to make it about as science-fiction as an episode of Doctor Who. 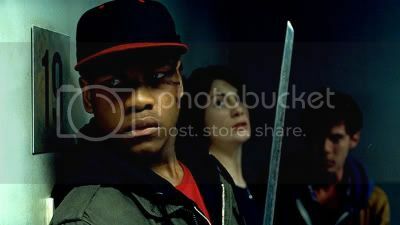 Having said that, "Attack the Block" has a very fatal flaw especially for a British audience. The main characters are a bunch of the lowest possible chavscum and all you want to do is see them die horribly one by one. Of course, it wouldn't be much of a story if that was all that happened so the teenage thugs are developed into the unlikeliest of heroes. I found nothing of merit in this film since I was completely alienated from all the characters except their victim after the opening mugging scene. I absolutely loathe chavs, their stupid droning accents, and their adoption of everything bad from American rap music. Most of all, I despise the society which allowed them to happen. They truly are Britain's shame. The alien "gorilla-wolf" creatures and their kills weren't all that impressive either and, although I made it all the way to the end of the film, I didn't really enjoy the experience. 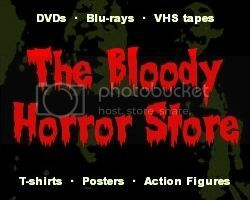 If you are American and are expecting another "Shaun of the Dead" from this, don't.